We made it to Duncannon , PA , a nice milestone for us. Its hard to believe that we have been out here for 87 days now! In just three more we’ll reach the official half way point on the trail at 1,087 miles! We have learned so much thus far, not just of hiking, but of the hardships and joys in life. Our imagination stirs with whats to come next. Overall, in the past week, we have been making a lot of good ground. The terrain is completely different than any other so far. It has been a lot of flat ridge walking with the occasional steep 1000ft climbs in and out of the gaps, however, it is very rocky and a struggle some times. There were a couple of nights we cowboy camped out under the stars. Once because we missed the shelter, and the other because we spent too much time having to hike into Hamburg for fuel and resupply. We walked some old railroad beds and abandoned carriage roads from the 1800s. 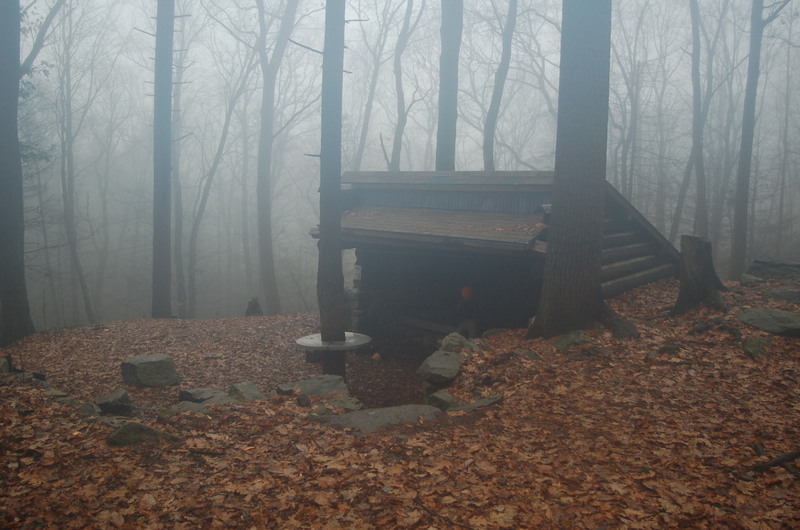 The trail took us through some ruins of an old coal mining village of Rausch Gap . The town went under in the early 1900s when the railroad pulled out and moved elsewhere. 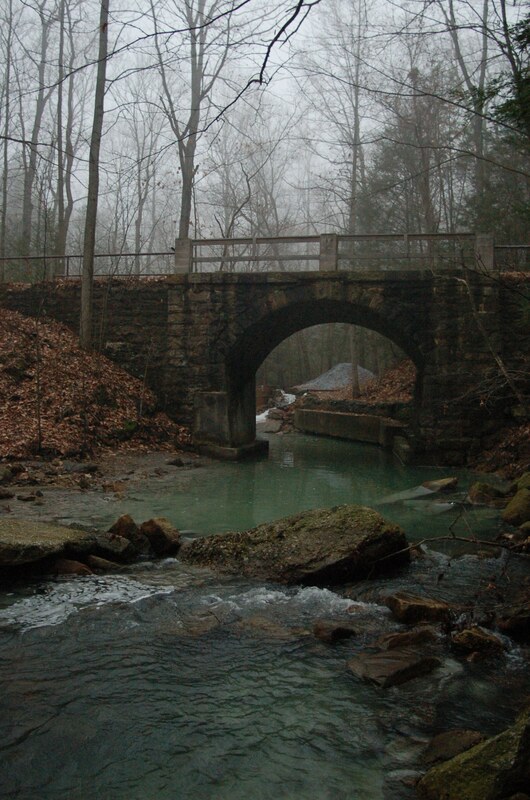 There was a cemetery with a couple headstones from 1854 and a really sweet stone arch bridge over a stream, and it was all out in the middle of the woods. 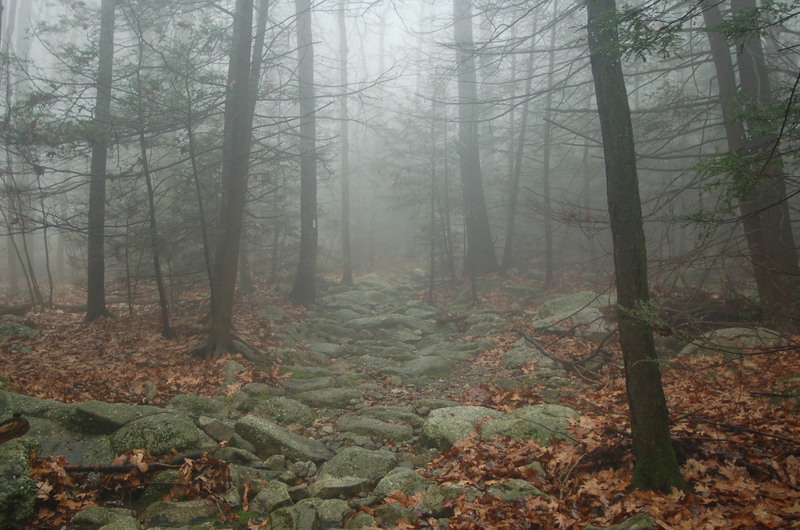 The past few days of hiking have been fair weathered with rain and fog moving in and out. The weather killed our views from the ridge except for yesterday. We had great views of the Susquehanna River and the world’s longest stone arch bridge. Our biggest concern over the past week has been the arrival of buck season and all the surrounding hunters. They seem to surround our camp early morning just before sunrise, and when the sun rose, the gunshots filled the air. We have seen over 60 hunters just in the first 3 days of hunting season. Not to worry though, we have been wearing blaze orange hats and ribbons to keep from getting shot. We caught up to 2 other south-bounders, “Little Engine” and “Ellipse”. We stayed with them last night here in Duncannon and we are all hiking out together today. By the looks of it, we should have some company for a while. We are pretty excited to be hiking with them. Last night, Ice Man and I had an interview with a gentleman that hosts a very popular backpacking website called practicalbackpacking.com. He also hosts a series of podcasts, downloadable audio files, of interviews with different men and women in the field of backpacking. Including interviews with gear companies, authors, organizations, and backpackers. We are very excited to be included with the other respected and well-known subjects. The podcast should be up and running in the next few days, and we will put a link to the page when it is up. If you want to check out the other interviews or check to see if ours is updated goto www.practicalbackpacking.com/blog . Our next town is Harpers Ferry , WV in 7 or 8 days. The Doyle was really impressive though. Not the crackling paint, cob webs, and noisy uncomfortable beds of course, there was something else. The place had character, and it also had a bar on the first floor. We barely got in the doors before the wind took out the electricity. Given that we were accustomed to having zero utilities, we became the hit of the party. Joe and I brought down our transistor radio for some tunes while we had drinks with the locals by candlelight. The trail becomes a time warp through Pennsylvania if you let your imagination take over. Although not a popular section (the entire state) because of the low elevation and rocky trails, I really enjoyed it. I’m not a history buff, but I’d imagine it would be even more fun if I were. I felt like I was discovering not just nature, but America.